The James Webb Space Telescope is getting closer and closer to launch. Scientists are getting excited for the Wide Field Infrared Survey Telescope which is just years away from launch — and it’s not hard to see why. The Hubble Space Telescope has served us well since it was launched into low Earth orbit in 1990, taking incredible snapshots deep into our universe and leading to some of the most groundbreaking discoveries about our record — but it’s nothing compared to what WFIRST will be able to do, according to an Engadget report. And it’s not the only incredible new telescope about to be launched. 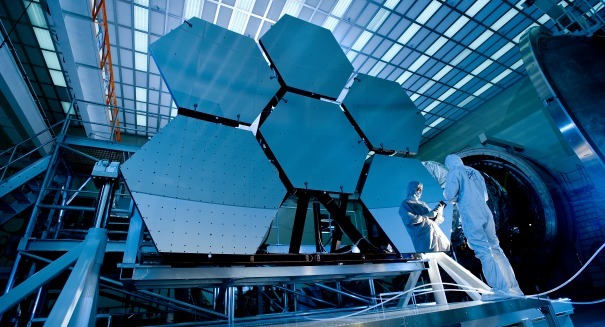 The James Webb Space Telescope is getting its finishing touches for a 2018 launch, providing a much more powerful telescope than the aging Hubble platform. But WFIRST, which launches in the mid-2020s, will be something else altogether. It will have a field of view a whopping 100 times larger than that of Hubble — it’s like the difference between a porthole and a huge window. It can also prevent glare from individual stars so that we can look at exoplanets beyond our solar system with greater clarity. It could help us unlock the mysteries of dark energy and dark matter as well, further expanding our understanding of the universe.